According to “EUNETMAR, 2014. Study to support the development of sea-basin cooperation in the Mediterranean, Adriatic and Ionian, and Black sea. Analysis of Blue Growth needs and potential per country” and the fifth report on the economy of the sea in Italy issued by CENSIS in 2015, largest maritime sectors are those reported below. *Including both short sea shipping as well as deep sea shipping. 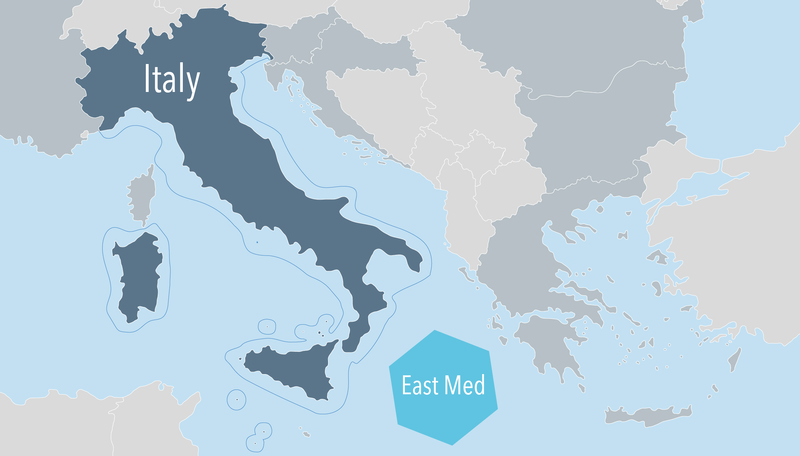 There is currently no legally-binding MSP plan for Italy. On December the 1st, 2017 Guidelines containing criteria for preparing maritime spatial plans were published. The EU MSP Directive was transposed in Italian legislation with the Legislative Decree 17 October 2016, n. 201. According to the Legislative Decree 17 October 2016, n. 201 (art. 8) functions of MSP Competent Authority are in charge of the Ministry of Infrastructure and Transport. Indeed, MSP competences are shared among different institutions. An Inter-ministerial Coordination Table and a Technical Committee with defined scopes are established. **The present list of relevant practices is purely indicative and not endorsed by the Italian MSP authority, as it does not represent the formal process of MSP implementation: practices are results of projects and studies.